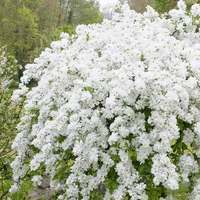 A beautiful flowering shrub native to eastern and central Asia. 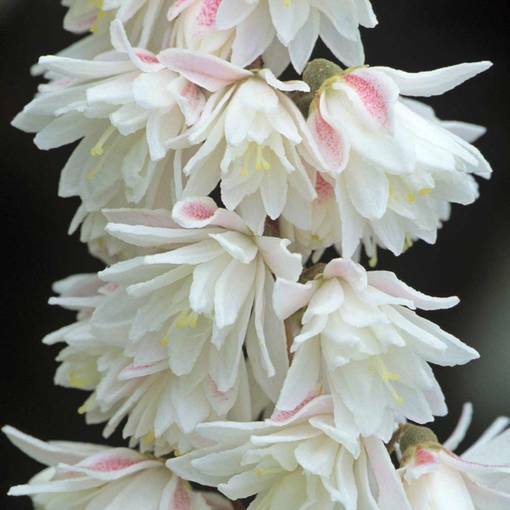 Strong arched branches hold pendant like panicles formed from masses of double flowers, silky white with feint pink bruising on the outer petals and yellow tipped anthers. The deciduous leaves are dark green and Plena has flaking bark distinctive to some Deutzia. 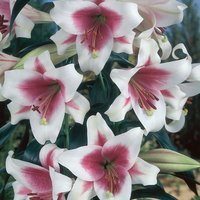 Reaching a height and spread of 2-3m this is ideally suited to a large cool, sunny spot in the garden, annual pruning will encourage healthy growth and improve flowering. 30-50cm bare rooted plant supplied. Planting Plant with soil firmly surrounding the roots and with a little space on both sides for roots to expand. Plant with soil firmly surrounding the roots and with a little space on both sides for roots to expand. 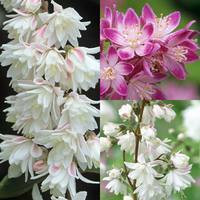 Deutzia are a variety of deciduous shrub that can be planted in most types of relatively fertile soil, provided it is not too dry. Plant in sunny areas. 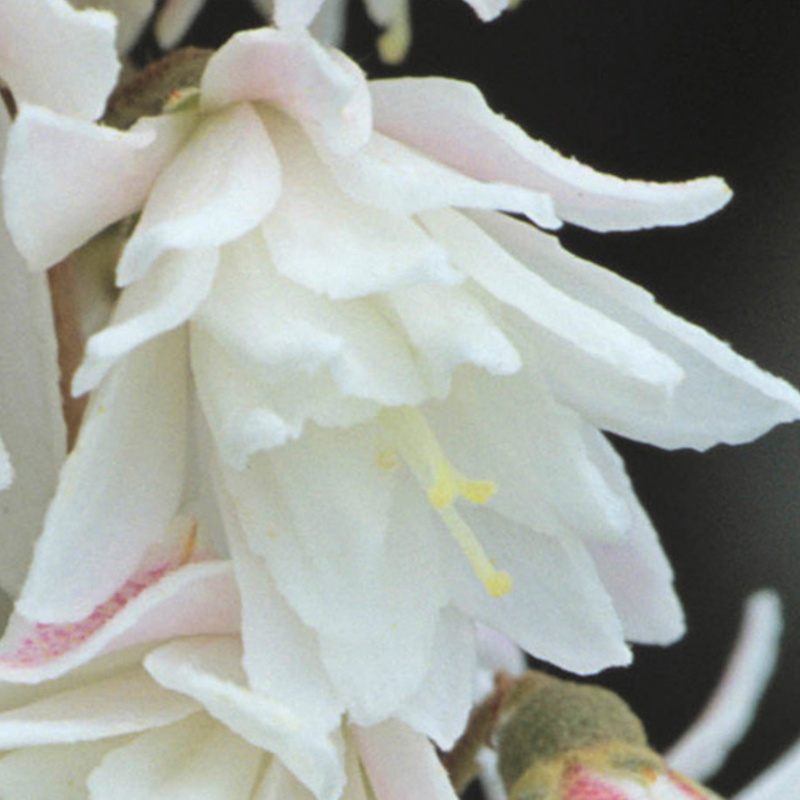 Can be pruned back annually, after flowering to remove any damaged or messy shoots. 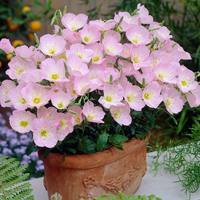 Must be planted once received in fertile garden soil and watered regularly, particularly during dry periods.